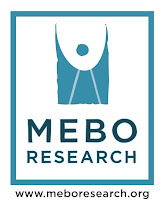 I would like to thank everyone who has given donations to support the MEBO Research Alveolar Breath exploratory study to cover the cost of the room in which the tests will be administered for this study. Six (6) persons have purchased their tests for this event, and anyone interested can purchase it up to the last minute. The sample collection session will be held this Saturday, June 23rd, at the Dorchester South Beach Hotel after the Conference part of the Miami Beach Meetup. All donations, large and small, are very much appreciated and welcome at this time for this event. It is our goal to attempt to set up 2 conference calls throughout the whole of the conference, one using the local US conference phone line utilized for the bi-weekly calls, and the other a Skype Voice call. I cannot guarantee that the Skype call will be possible, but if you open an account to make domestic and international Skype calls in advance, you can purchase credits and take advantage of their very low long distance rates (usually cents per minute), and you can call the US conference phone line and listen in. More details and instructions will be posted in this blog tomorrow, the day before the conference. The following is the agenda of the Conference to be held this Saturday, June 23rd at 12:00 noon and will last approximately 4 hours. The following days and weeks after the meetup, each presentation will be posted in this blog for everyone to see. Drug metabolism: If you have a mutation in a drug metabolizing enzyme that is needed to clear a particular drug, then there is very little detoxification and change in the drug, and the plasma concentration remains high. When taking the next dose, the same happens, thus the plasma concentration will increase over time without decreasing between each dose. 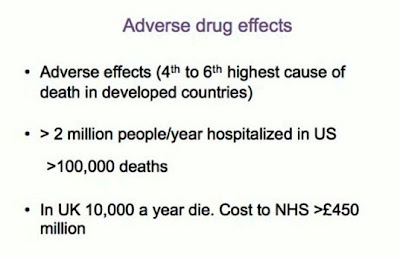 This is potential for adverse effects, “adverse drug effects,” and in worst-case scenario, having too much drug, overdosing, and even death. Pharmacogentics: The study of how our genes influence the way we handle a drug. Personalized medicine is, if we understand a person’s genetics, can we tailor their drug treatment to get them the best response to their particular drugs. Dr. Shephard gives an extensive list in her PowerPoint presentation of modern day medications that significantly challenge some metabolic pathways. Enables better understanding of how many people are potentially affected by malodor. Enables sufferers to participate in research. Includes information that has scientific credibility in order for members to be able to trust its validity. Could potentially demonstrate the size of the malodor community and the spectrum of possible conditions. To qualify members to participate in research. To develop a database of symptoms, tests, treatments and benefits of sufferers to identify patterns in the community. Keep members up to date with the most recent information. 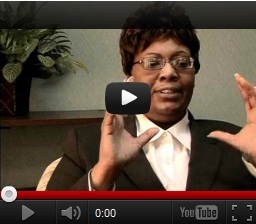 General advice and information on speaking with medical professionals. Focus on living with body odor and/or breath malodor condition. It is so moving and awe inspiring to think that every single person involved in the creation of this meetup and the conference projects are volunteers who have given up their precious time for the betterment of all sufferers from around the world. On behalf of all the international community from all corners of the world, I wish to express my most profound appreciation to all the experts who have worked long hours to create these presentations for us. They serve not only to educate sufferers and experts, but to lead us into a new era filled with hope for testing, research, and discoveries that will change our lives and that of our offspring.